New York City Football Club announced the signing of Cedric Hountondji, a 23-year old Benin international defender who will join NYCFC for Preseason 2018, pending receipt of his P1 Visa and ITC. 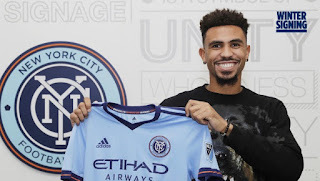 A former French youth international, Hountondji is a tall, athletic central defender who joins NYCFC as a free agent after his contract with Gazelec Ajaccio came to an end. Hountondji told NYCFC.com, “It’s an honor to be here, I am really happy. I am full of motivation and ready to give everything I have for the club. “When I heard of the interest, I was very excited. I knew about NYCFC because I follow MLS. I don’t always watch the games because of the time difference but I am watching the highlights and sometimes I watch the games when I have the time. “I followed their progress and I know that the club is progressing year after year and it’s really important. This year, I think the target is to win the title and that’s my personal objective too – that, and to help the team as much as possible. Hountondji was born in Toulouse in France and came through the youth ranks at Ligue 1’s Rennes, making his first-team debut in the 2013/14 season vs. Nice. He went on to make 17 appearances in his breakthrough season before he continued his development with two season-long loan spells in Ligue 2, at Chateauroux and Auxerre in 2014/15 and 2015/16 respectively. In total, Hountondji played 62 times across the two seasons before joining Gazelec Ajaccio on a permanent basis ahead of the 2016/17 campaign. Head Coach Patrick Vieira admitted that NYCFC saw off competition from a number of teams for Hountondji’s signature and is delighted to have added him to his 2018 roster. Vieira said, “Cedric is a strong player who is dominant aerially and physically, he is excellent in one-v-one situations and is calm on the ball as well. We were looking to strengthen our back four and Cedric is someone we were following for a long time. “He’s a young defender with his best years ahead of him and there was a lot of interest in him. I think it says a lot that a young player in Europe wanted to come to us and believes in our project and the ambitions of our football club. Despite growing up in France and representing their U-16, U-17, U-18 and U-21 youth national teams, Cedric declared for the senior Beninese national team in 2017 and made his international debut in March of the same year, the first of five appearances to date. Sporting Director Claudio Reyna said, “Cedric is a tall, athletic defender with a very good understanding tactically on how we want to play and will adapt with how we want to defend as a unit. 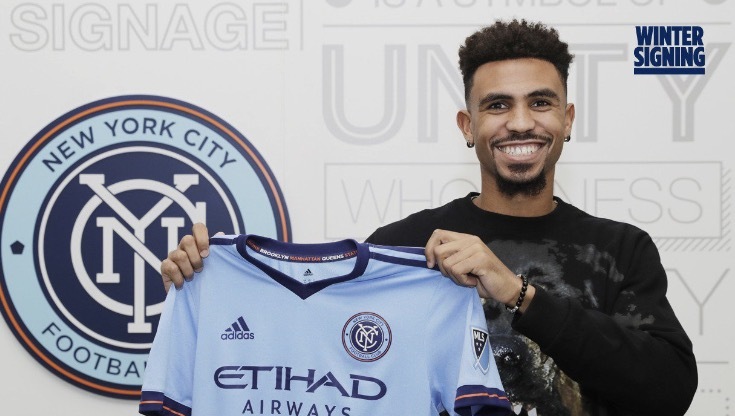 Hountondji becomes NYCFC’s fifth offseason signing, following Jesus Medina, Saad Abdul-Salaam, Brad Stuver and Anton Tinnerholm to the Club.